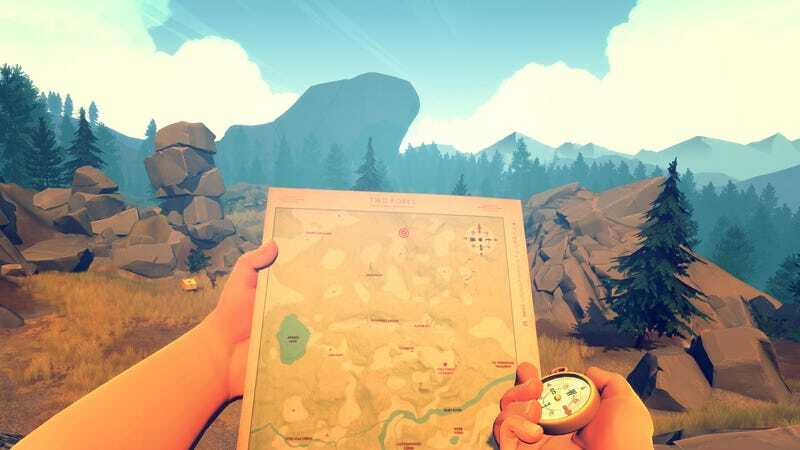 Independent studio Campo Santo (Firewatch) has been acquired by a most unlikely suitor—Valve, a digital store operator that once made video games. Three people familiar with the news confirmed the purchase to Kotaku today. Valve plans to leave Campo Santo intact as a team, a source said, rather than absorbing the studio and re-assigning its employees to other projects. But the independent developers are already enjoying Valve’s perks—we’ve heard that this past week, Campo Santo employees got to attend Valve’s annual retreat to Hawaii. The studio will also relocate to Seattle soon. Campo Santo, founded in 2013, released the critically and commercially successful adventure game Firewatch in February of 2016. The studio’s next game, In the Valley of Gods, is scheduled for next year. Neither Valve nor Campo Santo responded immediately to a request for comment.